Two, linked with steel chain 17cm long. Each hook is steel and eyed. 4.3cm in length, 1.3cm in width (at hook). 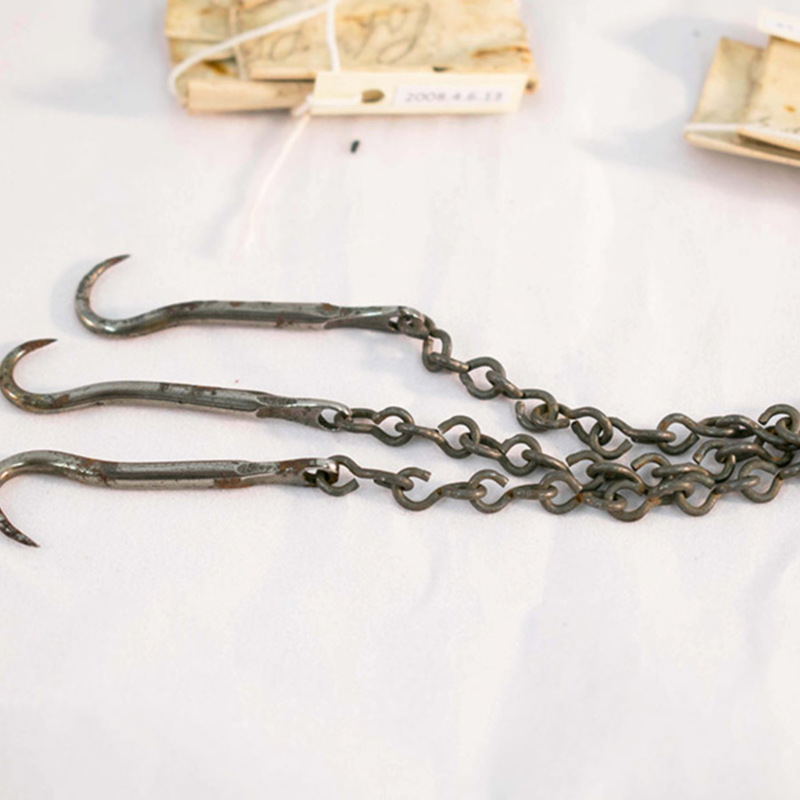 “Set of Chain Hooks,” Heritage, accessed April 23, 2019, https://heritage.rcpsg.ac.uk/items/show/321. Description: Two, linked with steel chain 17cm long. 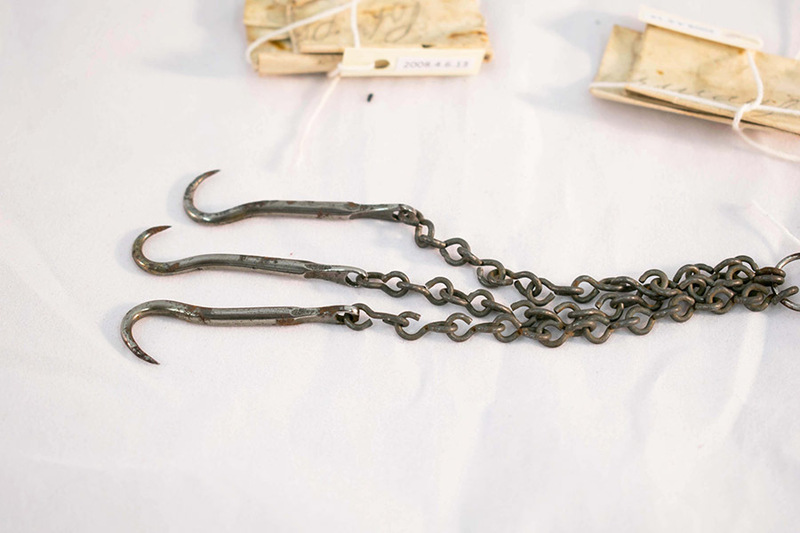 Each hook is steel and eyed.